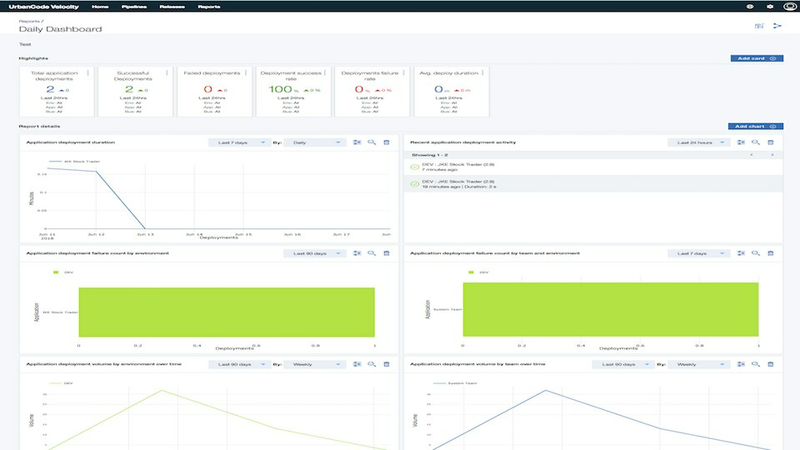 Increase velocity and measure DevOps maturity by orchestrating your releases and pipelines with DevOps tool integrations and real-time analytics. 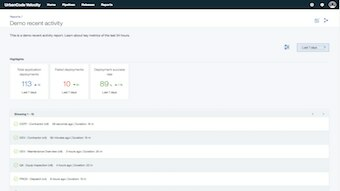 IBM UrbanCode Velocity provides actionable insights based on key performance indicators to help application delivery teams move faster and release better software. 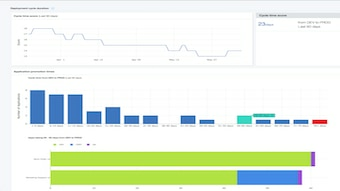 With historical and real-time views of deployments, errors, and delays, you can see how value flows through your delivery pipelines and where bottlenecks disrupt flow. 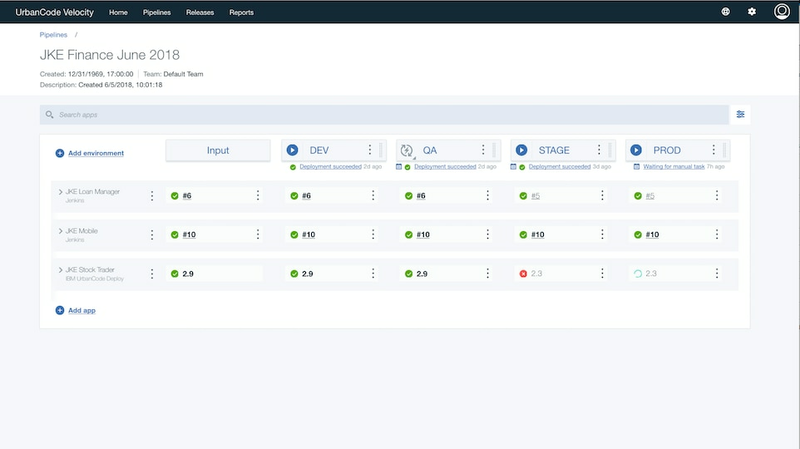 When teams need to coordinate at a higher level than promoting a single service, UrbanCode Velocity helps them make a “pipeline of pipelines” to easily coordinate multiple continuous delivery pipelines together. Bring together service pipelines into coherent release pipelines - even across different Continuous Integration / Continuous Delivery tools. See where everything is and coordinate delivery. 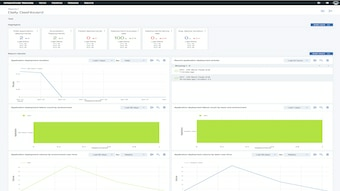 Equip DevOps transformation teams with cycle time data to show where you are slow and what to do about it. Schedule and coordinate large enterprise release trains with visibility into work items and deployment activities. Audit reports make it easier than ever to show that automation is complemented with appropriate controls and visibility into who has done what.